Fifteen years ago, it is unlikely that many would even dream that Syrah grown in British Columbia could help draw international attention to the province’s burgeoning wine industry. In fact, beyond Pinot Noir, many questioned the ability of BC producers to grow reds worthy of any attention beyond a novelty interest. Having judged at Canadian wine competitions for more than a decade, I’ve had the opportunity to taste the evolution of our country’s wines and, for the past several years, BC Syrah has shone. The wines are fresh, elegant, nuanced, fruit-driven, peppery, meaty, expressive and reflective of the sunny, savoury southern Okanagan and Similkameen Valley. Much of this is due to the region’s abundance of sunlight hours during the growing season and significant diurnal temperature fluctuation. The grape’s ability to express the diversity of terroir that exists in the province is also becoming more evident. I also recently tasted a remarkably well made Syrah from Kelowna produced by Quails’ Gate. Most would presume it to be too cold to ripen the grape in the northern part of the Okanagan, but the winery has a specific site adjacent to the lake which acts as a tempering factor, creating a micro-climate seemingly well suited for the variety. The quality of the province’s Syrah was reinforced earlier this year at the “Judgment of BC” tasting in Vancouver organized by the British Columbia Wine Institute (BCWI) in conjunction with the 25th anniversary of BC VQA (Vintner’s Quality Alliance, which ensures, among other things, that wines bearing the insignia are made with 100 per cent BC grown grapes). Six BC Syrahs and six Chardonnays were tasted blind with an equivalent number of acknowledged international benchmarks. While BC Syrah excelled, the province’s Chardonnays did not fare as well. 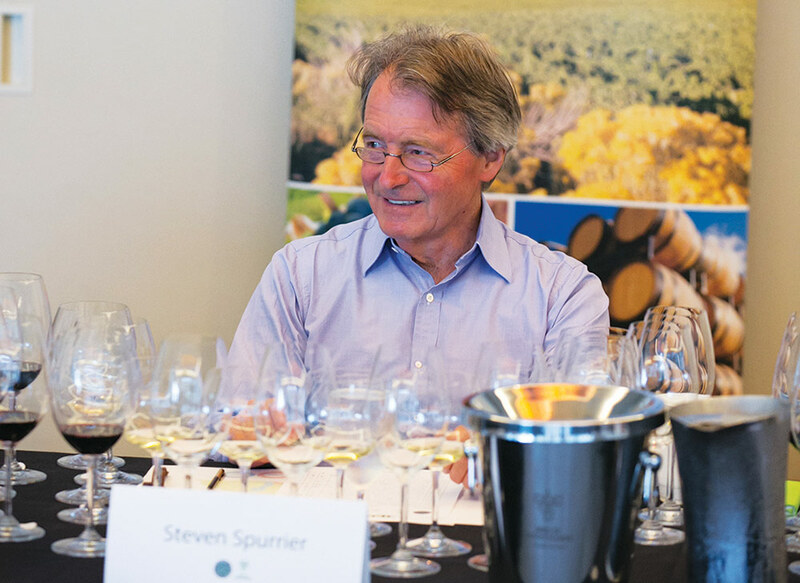 British wine critic Steven Spurrier, consulting editor to Decanter Magazine, chair of the Decanter World Wine Awards and organizer of the 1976 Judgment of Paris (depicted in the movie Bottle Shock) tasted the wines along with 16 Canadian judges, myself included. Remarkably (or not), BC Syrah finished first, fourth and fifth, reinforcing what some of us already suspected … its quality is comparable to the best in the world. Acknowledging the fact that there were no bad wines in the lineup (in fact, all were quite well made and deserving of the accolades each has received in the past), it is not surprising that BC Chardonnay did not shine against the international benchmarks. They are, after all, benchmarks, and regions such as Burgundy have been producing the grape for significantly longer than BC. Perhaps, though, producers should look at the results and the success of the Chardonnays from Australia, New Zealand and South Africa as a wake-up call. The Judgment of Paris is often looked at as the catalyst that propelled the California wine industry onto the international stage (California Chardonnay and Cabernet Sauvignon won in both categories against their French counterparts). Will the Judgment of BC have the same effect? Perhaps, but it should, at minimum, cause Canadian wine consumers to take a closer look at BC Syrah and take pride in the fact that we are growing quality wines comparable to some of the best in the world. I’ve been saying for years that if the Canadian wine industry is going to evolve and be taken seriously internationally as a quality wine-growing region, we need to benchmark the quality being produced in the country with the rest of the world and not just by Canadian tasters. We’ve seen Canadian wines receive greater exposure to international influencers over the past few years and we must continue to show our wares to those beyond our borders. Canada is growing world-class wines and tastings such as the Judgment of BC will only help make our wines better. Next judgment in 2016, Riesling and Pinot Noir? I’m looking forward to it.